Americans Argue: did the “Half and Half” Exist in the old Country? Between November 24 and December 3, 1902 an extraordinary correspondence ensued in the New York Times on a rather arcane question: did Britain know the “half-and-half” as a drink of the beer family? The term half-and-half, sometimes under the humorous (in gas-lamp America) variant “arf and arf”, was well-known in the United States. It is in Jerry Thomas’ famous bar guide of some decades earlier, see in this edition at page 101. It appears there as a mix of porter or stout and ale, or a mix of fresh and aged ales. As the ring of arf and arf implies it was assumed the drink was of English origin. In this vein a 1902 story in the Times noted that British habitués in Manhattan’s Abingdon Square, aka the British Quarter, ordered the drink in clubs and saloons. The article, written tartly from a brash American standpoint, stated that the type of English man who carried an air of innocent simplicity into his thirties drank half and half. Parenthetically, it always surprises me how by 1900 even Americans of evident Anglo-Saxon ancestry, as most journalists were then, looked at Britain as a truly foreign country – so completely had the distinct American character emerged. A deluge of letters followed, many of which you can read in this Fulton Newspapers link, printed in the same issue on November 30. For the rest, the search function of the New York Times will assist, I’ve tried to gather them here. I have written of the half and half before, including in the earlier New York press, but this exhibition of interest was unprecedented. The letters all disagreed with Alpin. Some pointed out that his accent confounded bartenders, and had he spoken of “arf and arf” he would easily have found the drink. Others stated he looked in the wrong places, as only the public bars and other low resorts would supply the article, it couldn’t be found in railways and hotels which a young American of his sort presumably frequented. I am not yet seventy, and, during the years M. Alpin was living in London I was also living there, and I have no compunction in saying I had to carry a jug pretty often for my father’s half-and-half. Other letters named types of half and half, usually a mixture of ale and porter but also variants such as old-and-bitter, aka mother-in-law. One writer stated beer and ginger beer could be a half and half. Another denied this and stated that mixture was a shandy-gaff (true). One notable correspondent was Frank Vizetelly, the son of noted English journalist and drinks writer, Henry Vizetelly, so one in a position to know on these matters. His contribution was to provide citations for the half and half in literature including for an issue of Gentleman’s Magazine in Georgian times. Alpin wrote back finally in a huff. He stated that despite the “score” of letters protesting his assertion he was proved right since the half and half was so various in character it meant nothing finally, but he was labouring here. My point is not so much to show that half and half in Britain existed around 1900. It is an old item in the U.K. drinks inventory that stretches back at least to porter’s origins in the early 1700s. The term continues in use to this day or at least is understood by most familiar with the bar lexicon. Certainly various American beers were sub-styled half and half into the post-Prohibition era as these examples amply show, from Jess Kidden’s historical beer pages. It’s really too bad our unsophisticated friend, Mr. “Willie” Alpin, never had the pleasure of meeting a certain gentleman who was fond of talking about “The Little Nipper.” There’s the man who could have given him some information on the momentous question, “Is there, or is there not half-and-half in England?” I reckon the brewers have to work overtime to keep any in sight. The next time “Willie” Alpin goes to London he must go down to the House of Commons and interview a brewer on this subject. But meanwhile he must, if fortune gives him the chance, get the ear of “The Little Nipper” man. You remember, “The Little Nipper” enters a “pub” (I believe, Sir, that is what they call the horrible things) with his most adoring parents. The papa orders in his sweet vernacular: “Two pots of four-alf,” whereupon ” The Little Nipper” playfully remarks: “What, ain’t muffer goin’ to ‘ave none?”. Yes, I think The L. N. man could put him “wise” on this subject; I will not try, but just say, in conclusion, that I notice that Mr. “Willie” Alpin lives in Brooklyn. Now, I believe the late Ward Beecher made some remark about Brooklyn being like heaven. Well, maybe it is: but if I could have the pleasure of the company of Mr. “Willie” Alpin in London any Sunday from 1 to 1:30 P. M. at any one of, say, 3,000 “pubs.” (excuse me) and he would guarantee to drink all the half-and-half that was passed over the “bar” in response to a demand for “‘arf-and-‘arf” during that short space of time, he’d wake up in a better heaven than Brooklyn, N. Y. If there remains any doubt, yes half and half did exist in 1900, as beer writer Martyn Cornell elucidated a few years ago, here. Cornell’s article is helpful too to make clear a misprint or omission on the part of one of the Times letter-writers. The writer described six types of beer in general use in England, one of which was “beer”. The others were porter, stout, mild ale, bitter, and Cooper, a mix of porter and stout. The “beer” didn’t make sense since he mentioned porter and bitter, which would normally take in “beer”, if not one or more other terms in the list. The Times correspondent was probably recalling a news story in 1900 in London’s Daily Express on the city’s beer. That story was centrepiece in Cornell’s article. The Express recited the beer types in current use. These were similar, with one exception, to the letter-writer’s list. Hence we know the source he likely used. And “beer” in the Daily Express was prefaced by “ginger”, so it was ginger beer, in other words, which makes sense in context. Clearly the Times editor was clueless. He probably drank Manhattans. Finally, one letter-writer noted usefully that American ginger beer did not taste at all like the English article. She wrote that ginger beer in England from stone bottles was akin to lemonade flavoured with ginger. It looks like I’ve been making the beer shandy wrong my whole life. The deuced shandy! 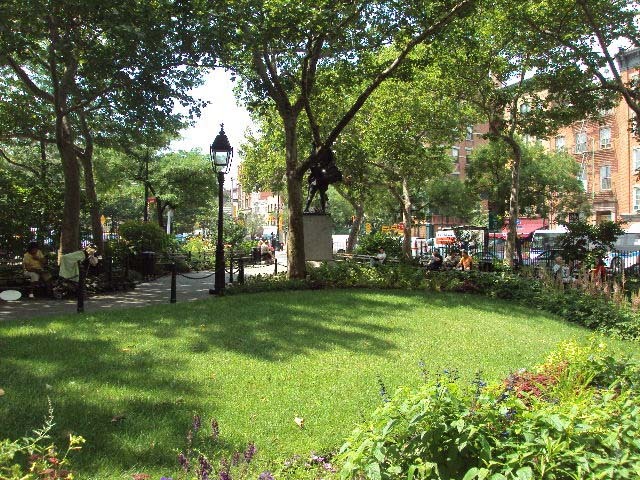 Note re image: The image of Abingdon Square is from the New York City Parks website, here. All ownership in the image resides solely in its lawful owner. Used for educational and historical purposes. All feedback welcomed. *Many 19th-century references, both U.S. and U.K., discuss the permissible use of ale or stout to train fighters, rowers, and runners. See e.g. here, or in this study of the bare-knuckle prizefighting era. In this post I discussed a 1971 New York (the magazine) article on a beer tasting organized by the editors. The tasting presaged countless similar events of today. There were no craft beers available to be sure, but plenty of exotic imports. Exotic is the key word here, then or now. Still, some period anomalies appeared. The panel was divided between blue-collar and white-collar, all pictured. The white collars wore jacket and tie. The blue collars eschewed such refinements. On the panel was journalist Patrick Owens, a Montanan transplanted to New York. He worked for the Long Island-based Newsday. According to this online obituary, Owens was a U.S. Army veteran who started in journalism after high school, editing an army newspaper. He died at 72 in 2002 after suffering a stroke some years earlier. Owens was a well-regarded professional who reported on a wide range of subjects, as testifies this admiring memoir by fellow journalist Paul Greenberg. Owens wrote a piece in Newsday as a replique or ironic commentary on New York’s report. Clearly he thought the panel rather lightweight in the beer arts with one exception, a brewery worker he called a “hollow leg”. Olives were among the snacks served at the tasting, which struck Owens as contrary to the beer ethos vs. perhaps a liquor drink. Owens typed the writers and audience of New York as mainly interested in food albeit with an “underground”, value focus. He went on to describe his ideal beer tasting. Unlike the magazine’s, it would not be in a sterile photographic studio. Instead he named a heaving beer emporium on Long Island where “democrats”, not classified by collar he said, enjoyed beer either for “esthetic” or “budgetary” reasons. He cautioned that “sousers” did not frequent the locale and the typical guest held himself to “two or three dozen glasses”. Owen’s self-described taste in beer was “dilettante”, which must be taken similarly tongue in cheek. He concludes by telling us that, presented with a glass of “Piel’s”, a Long Island steady sipper likened it to the waste product of a dog. In fact, it was another brand, one that finished high in New York‘s ratings. Conversely, Schaefer, an old Brooklyn favourite, scored indifferently in the latter whereas Owens thought it a surer bet in the company of “experienced” but not “dissolute” or “undiscriminating” hands. Hence his secret of the suds: the palate of a confirmed imbiber can outpace a trendy magazine’s elect panel. Putting it a different way, the article ends on a wink of the eye. Certainly Owens saw that something was in the air, that “dabblers” were demanding more of the breweries. He thought New York the perfect tutor for this new type of beer drinker as both were in synch. In this, he was remarkably prescient, as only a few years later the growing interest in beer imports became allied to the budding microbrewery movement, with journalistic pipers soon abounding to recruit followers. Beer would never be the same again. As Owens lived into the craft beer era I wonder if he remembered this tart essay from the Age of Acquarius. In truth, and as Owens recognized, to understand beer well, you can’t treat it with kid gloves. You need to get down a certain amount of it, sans olives, preferably. This is about a modern beer with an old history that includes a variant called Jesus. First, some background. A while back I discussed drinking at college in, “Alcohol and the Academy”, see here. It included my reminiscences (some aspects) of supping at McGill University and environs, 1968-1974. In a more recent posting, “Union College and the Time of Schaefer“, I discussed a now-defunct bar at Union College, NY. I also addressed aspects of U.S. college drinking before WW I in my article on musty ale printed in the journal Brewery History not long ago. In “Alcohol and the Academy” I mentioned in passing this 2008 article in Brewery History, “Audit Ale – a Short History”, by John A.R. Compton-Davey. It describes the lengthy and honourable tradition of audit ale at (mostly) Cambridge University colleges. 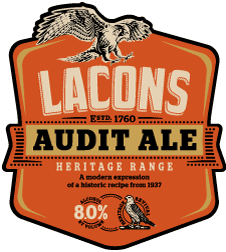 Compton-Davey more than touched on Lacons Brewery in Great Yarmouth, U.K. as it produced audit ale for numerous colleges in the interwar years. Taste descriptions were included, including by Lloyd Hind, a noted brewing scientist of the era. Hind found his sample somewhat acid but the feature “buffered” by “colloids”. 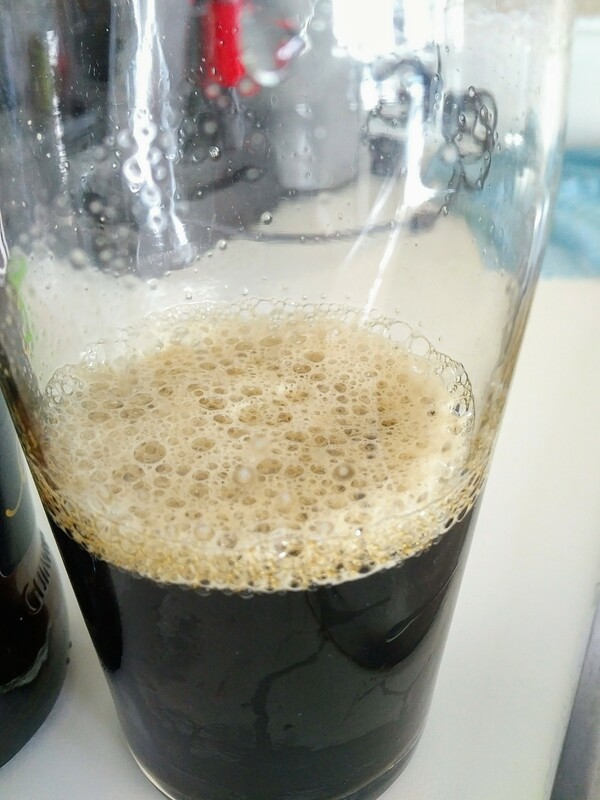 (We open comments to our learned readers to explain colloids for hipster brewing 2019). Here we are in 2019, eons away from cranky regional 1930s brewing with its non-sterile plant, wood vessels, and mixed ale cultures. However much Neville Chamberlain-era breweries had advanced from hundreds of years earlier, it is a safe bet modern brewing technically is further ahead by miles. And if we recreate such an audit or other strong ale from past times, what does it taste like? Does it bear a connection to the 1930s impressions garnered by Compton-Davey? Actually, it does. The U.K.-based Campaign for Real Ale’s Champion Winter Beer of Britain for 2019 was just announced, Lacons Audit Ale, from Great Yarmouth, Norfolk. Not quite the same Lacons as the one discussed by Compton-Davey as the new Lacons started up in 2013. But the new shop found old Lacons recipes, and its yeast culture, and includes numerous such heritage brews in its range. Lacons Audit Ale is a dark copper barley wine with flavours of berry fruit and spice. The finish is smooth and sweet. A unique style of beer. No fruit or spices are added, these are metaphors to get at the flavour. The alcohol range is 8% ABV, not as strong as some audit ale of old times, but strong enough to convey the essential character. Anyhow, some college ale of yore was probably in the same alcohol range, you can depend on it given the variety of brewing procedures then, and vagaries of targeting gravity. A couple of years after Compton-Davey’s article Terry Foster, a well-known brewing scientist and author of numerous books on brewing and beer styles, wrote an article for the same journal on his recreation of Oxford’s Chancellor Ale. Historical brewing recreations are nothing new and go back to the 1970s at least. At this point the unfiltered and unfined beer had aged on the yeast for one year in a stainless steel keg with no artificial carbonation. It poured with just a little head, and a deep black-brown colour, though still slightly translucent in the glass. Since I do not like the use of grandiose and fanciful terms to describe beers, I can only say that it was luscious, full-bodied with some caramel present, and well-balanced; neither the high hop bitterness, nor the high alcohol content stood out. In short, it was voted an excellent beer by the assembled company. Foster states he expressly decided against including a lactic character, the acidity noted by Hind, while today the fashion for “sours” makes that decision perhaps stand out. Still, the beers in the old days would have varied in acidity anyway. Beers consumed relatively soon after brewing would have had little or none, and even some well-aged beers probably didn’t suffer from it. Then as today, a brewer’s reputation meant something and many knew how to please the public taste. There are plenty of references in 19th century brewing literature that make clear an aversion to sour beer or at any rate, frankly tart beer. [The Oxford student] … drinks beer at lunch and at dinner, and he has some famous beers too. There is an audit ale at Queen’s of great age and potency. When the Queen’s man wants to give his friends of this weird beverage he has to make formal application, state how many guests he expects, and then get a written order for an exact and somewhat small amount of it [due to strength], to be served to him. At Jesus, too, they have a well-known beer, called “Jesus old”, a rich, soft, mahogany-colored liquor of considerable body. Once it was brewed in the college brewery, but in more modern times, when colleges and private houses gave up brewing their own beer and thus made possible the growth of that part of the British peerage which has been christened the “Beerage,” the recipe was handed over to one of the great brewing houses to manufacture for the delectation of Jesus men and their friends. And so, we have a continuity of 120 years in the essentials of the sensory impact of these beers. Despite all the changes in materials (presumably) and technologies over that period, audit ale seems to retain its character of a rich lusciousness. (That’s lusciousness, not lushness, although some might say, not much to choose…). As a brewer at Toronto’s Amsterdam Brewery observed to me when we first brewed 1870 AK Bitter, “for us it’s the ingredients”. He meant that the brewery was seeking to express the character of traditional ingredients from the country that produced that beer in 1870. I could only concur. Our methods differ from the 1870s, the hops and malts can’t be exactly the same even if varieties known to exist at the time are used, and brewing technology is considerably different, but an enduring national and in this case period character hopefully came though. I think it did, and we see by the rapt reception of Lacons Audit Ale in 2019 that the beer seems very similar to the audit ale known to many generations before Hitler’s war. This is primarily due to the ingredients used in brewing and especially the quantity, the malt, hops, yeast, water. The equipment manipulating them changes over time, but the essence of malting, brewing, and fermentation, when well-conducted – ah there lies the rub – does not. In considering that the beers of past times can be recreated with good fidelity, we enter a qualification where they are stored in barrels made from American oak. This wood is now virtually the norm where wood vessels are used in craft brewing, but was not liked in former times in British brewing, as we have amply documented earlier. Its use imparts a characteristic coconut or “bourbon” note that, in short, Britons didn’t like in beer. To be sure, there is nothing wrong with current artisan use of American white oak barrels or tuns, if people like the results. If the beers fetch a good sale, that is good for today’s brewers and I’m for it. But this is a modern innovation, a step too far in historical British brewing, in my opinion. It may sound odd to suggest that today’s ubiquitous metal plant, typically of stainless steel, produces a more authentic result. But I think it does, as the old learning had it that Memel oak, the favoured wood for British breweries except Guinness and a few others, was notably neutral on the beer, as metal is today. See here for evidence of this view. I believe Lacons Audit Ale is not fermented or stored in American oak, see for example this article on the beer a few years ago, a bottled version, by the eminent beer writers Roger Protz and Jeff Evans, writing in the magazine All About Beer. They make no reference to wood vessels of any kind. Evans, in his taste note, does state “slightly woody” but I believe this a metaphor. Still, if some Lacons Audit Ale is, or will be, stored or fermented in Stateside oak, all power to those who like the variation, and of course the brewery. In a word, congratulations to the revived Lacons of Great Yarmouth, U.K. – for winning 2019 Champion Winter Beer of Britain, for continuing quite literally and credibly an age-old tradition. *Included in the Compton-Davey article is a period advertising leaflet used in New York where an enterprising Cambridge graduate was trying to market the beer, in 1937. Unfortunately the type cannot be read in the reproduction, at least online. Despite Compton-Davey’s comment that the bumph was typically American in its exaggeration, elements of it would be useful to understand better the palate of Lacons Audit Ale in the 1930s. I might observe as well that the pitch couldn’t have been all typically American if a Cambridge man was behind it. Perhaps he was an American Cambridge man, or woman for that matter, but neither possibility seems likely for the time. **The source, Fulton Historical Newspapers, does not in this case reveal the name of the publication, and it was cut off from the top of the page. It was probably a newspaper in New York, since that is a focus of Fulton, or one of the New England states, given, too, the Ivy League references. I must, I will, revert to the subject of Memel oak. This is wood from forests of Russia and Poland that had ideal properties for British brewers, especially for “cask plant”, the barrels in which beer was shipped to public houses, clubs, and hotels. Memel, the Baltic port from which the eponymous oak was sent to world markets, is now Klaipėda, in Lithuania. I’ve written seven or eight postings on this subject, this one brings many of the points together. In brief, until World War I Memel had near-universal use in British ale brewing. In London this applied to porter as well. Guinness was one of the few breweries that adopted the tight-grained American oak, but most others used Memel for casks and other vessels, uncoated. American brewers used barrels made from the native white oak but the interiors were invariably coated with brewers’ pitch, a subject I also covered earlier. It’s an interesting question what wood Canadian brewers used, I can’t recall seeing any references. I’d assume it was North American oak. As a vestige of a once-standard industry practice, the historic Traquair brewery in Scotland still uses antique Memel vats to ferment its beer. See images here from the company’s website under “How the Beer is Brewed”. In a blog posting at Pat’s Pints, the vats can be seen more clearly including their russet tinge, which also appears in some of the logs (freshly harvested) shown in my post linked above. So important were the Memel stands that the Czars sought to bring them under their control, according to a 1936 story in the New York Post. The Post‘s report had nothing to do with beer as such. It had to do with something many would regard as incongruous or antithetical in a beer context, perfume. (I set aside the reveries of the beer connoisseur here). A Miss Terry was employed by a perfume and apothecary company on Lexington Avenue. She devised a perfume for a Russian singer, Tamara. Her full name was Tamara Drasin Swann, a Russian-born singer who appeared on the New York stage in the 1930s. Some accounts have her origins as Ukrainian. She often played an exotic or vamp of old Europe. She was killed in a plane crash near Lisbon in 1943 while on USO service. For more details see her Wikipedia entry, here. The perfumer’s object was to personalize a scent that conjured associations with Tamara’s birth land. I know little about perfumes but do know that their complex formulas seek often to evoke the scents of forest, glade, grotto. To achieve this, oakmoss was used to lend the keynote effect. The reporter noted: “Miss Terry uses it as being redolent of the Memel Oak for which Russia has been famed for centuries”. In fact, oakmoss, which grows on oaks and shrubs, is a venerable ingredient in perfume-making. It is sourced indeed in Europe, not America from what I can tell, and currently at any rate the Balkans exports the crop to the perfumeries of the globe, as this online resource, Fragantica.com, states. Its French name is poudre de Chypre. Some years ago, in its wisdom the European Commission limited the permissible quantity in perfume. The lichen can irritate the skin, it seems, but perfumers still use it, in a modified way. In many countries the dark forest has an enduring cultural resonance, often with magical or mystical connotations. We can’t rule out certainly a romance/marketing factor in making a “Russian forests” perfume for an alluring Slavic songstress. Still, truth can reside in interstices, in implications. The perfumer knew about the Memel forests, probably from her client. She drew on this to create an ideal scent for a Broadway femme fatale. In this light, can we infer Memel oak added an ineffable quality to English beer? Certainly, no amount of caustics coursing through a new barrel would leach out all the taste, that is impossible. Some taste had to remain, at a subtle, appealing level, we infer. A special quality is implied in numerous accounts of Memel oak usage by the breweries. The smell and taste were evidently mild, “neutral” William Lindsay called it in 1939, see my posting linked above. He meant this, of course, to contrast with the vanillin twang of American oak. Perhaps the taste complemented English hops, which can be arbour-like and, in the current cant for British bitter, “twiggy”. It all connects in an odd kind of way, doesn’t it? To the Gillmanesque mind it does. Traquair has persisted with its old Memel vats because it thinks it gives the beer something. The vats may impart a lightly earthy note – see the discussion in Pat’s Pints again. Other reviews of Traquair’s beers refer to a similar earthy or even oaky note but nothing approaching American wood, the John Phillips Souza of the oaken race. Of all the brewing fads under the sun, I cannot recall any where someone obtained Memel oak from Klaipeda, made a cask, cleansed it the old way, and filled it with good British bitter. Who will do this? A wood that inspired a perfume for a Russian diva was a stand-by in the hard, un-perfumed business of brewing beer. From Courrèges to Courage. We need to see why. N.B. It always amazes me how, contrary to intuition, many businesses in the news 80 or 100 years ago still exist. Miss Terry’s employer was Caswell-Massey, which still sells fragrances and soaps in New York. See details from its website. It remains American-owned and is one of the oldest businesses in the country. Surely it has a file, perhaps the colour of ochre and dusty, that lists the specs for a perfume that breathes the bowers and glades of the Czar’s forests. 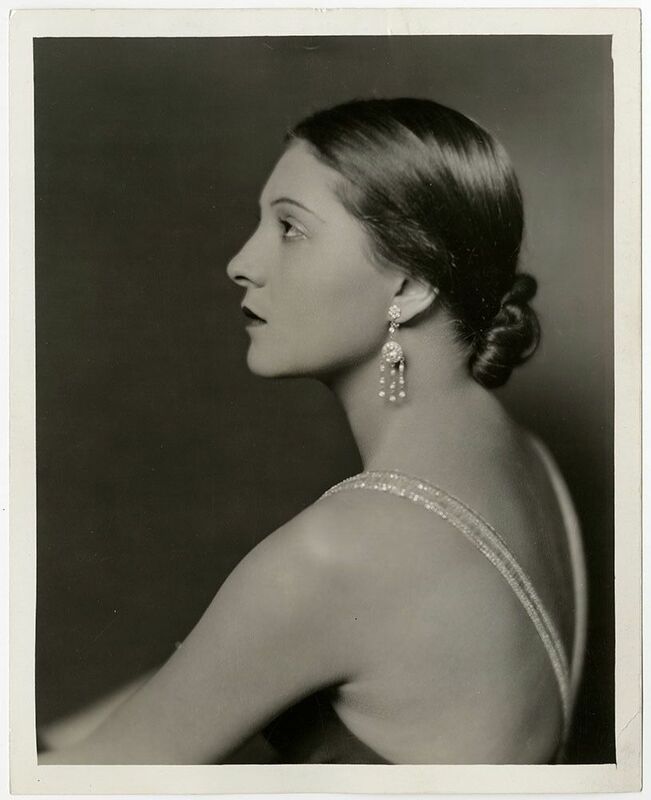 Note re image: the image above, of Tamara in 1933, was sourced from this Pinterest page. All intellectual property in the image belongs solely to its lawful owner, as applicable. Image used for educational and historical purposes. All feedback welcomed. Off and on over the years the question comes up, who first used the term craft brewery, craft beer, craft brewer, etc. Until recently, the earliest citation I was aware of is from Paul Gatza on Stan Hieronymous’ Appellation Beer site in 2010, in response to his post inquiring who first used the term “craft beer”. Just the other day I was reading The Pocket Guide to Beer by the late Michael Jackson, published in 1982 by Frederick Muller Limited, London. This is the first appearance of a guide that ran to six or seven editions. They bore varying titles due to differing publication arrangements, but each was an update of the previous one. Each was sold on release in both the U.K. and North America. In effect, with striking concision he defined keynotes of the beer renaissance for the next 30 years and coined its trademark phrase “craft brewery” (and by extension the derivatives craft beer, craft brewing, etc.). He also made it clear the phrase applied in Britain to notable examples of the cask tradition, hence not limiting the term geographically, much less to the United States, as is often supposed in British beer circles today. His next edition, The Simon and Schuster Pocket Guide to Beer, was issued in 1986. In that book, Jackson praises Timothy Taylor no less but in different terms and the word craft is omitted. The 6th edition, entitled Pocket Guide to Beer, was published in 1997. It again confers praise on Timothy Taylor but also omits the word craft. I have seven editions of Jackson’s guide. Only the first one, from 1982, uses the term craft brewery in connection with Timothy Taylor. There are two other uses of the term “craft” in that first edition, once in connection with top-fermentation at the Belgian brewery Dupont, and once to characterize brewing by his selection of top-ranked breweries. While not on point as such, these reinforce the Timothy Taylor reference and show the term was on Jackson’s mind as a signifier of quality and (often) small-scale brewing. Therefore, the earliest use of the term craft brewery – or that I am now aware of – is by Michael Jackson. Jackson is acknowledged by many as the greatest beer writer of all time and certainly was a huge influence on today’s craft brewing. It is entirely apposite that he first used the term. The reason it was overlooked is probably that the first edition of his pocket guide is relatively rare. To the extent the guide is consulted today, many would examine a later edition, unless a specific historical question posed itself. I found it by accident, I just wanted to read a compact statement from Jackson on Timothy Taylor’s. I happened to pull the first edition out first. 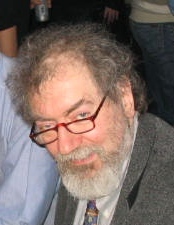 Note re image: the image above was sourced from the Wikipedia entry for beer writer Michael Jackson, here, and is believed in the public domain. If not in the public domain, the intellectual property therein belongs solely to the lawful owner. Image used for educational and historical purposes. All feedback welcomed. *Jackson in the same book also uses the terms “craftsman breweries” and “craftsman brewing”, the former in connection with small northern French breweries, the latter viz. the survival in Belgium of old brewing methods. Thus far, no evidence has appeared that Michael Jackson or anyone else used the specific term craft brewery before his 1982 usage in regard to Timothy Taylor or set out product characteristics for the genre, but see also my last Comment added below viz. earlier use by him of related expressions in the context of surviving small breweries in French Flanders and Belgium. The proliferation of fashionable beer bars continues in the Toronto business “core”. 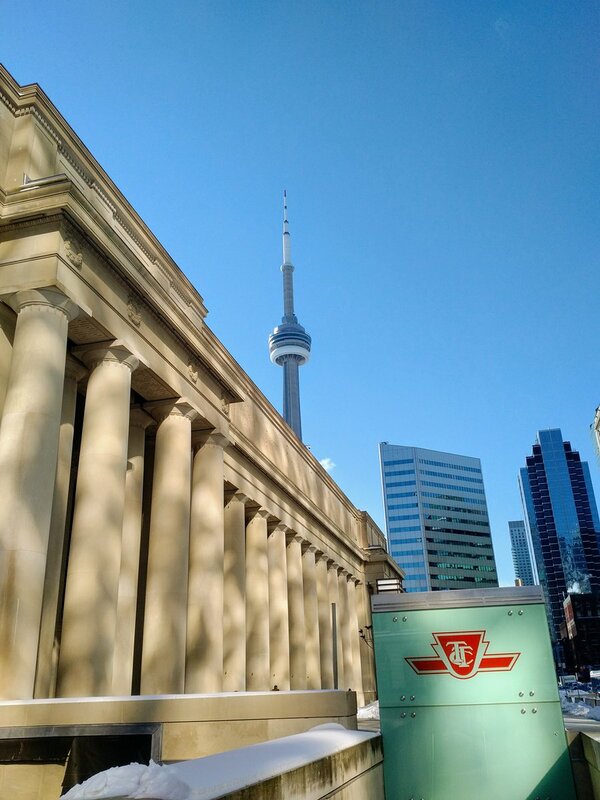 I define it as the area between Yonge, Queen, University, and Front Streets, but it takes in some streets beyond. Fashionable = “upscale but relaxed” to adapt an expression Reds, a veteran restaurant in the core, uses to describe its ambience. A few paces away is a splashy new food court of contemporary design, and behind that the departure lounge of Go light rail. Wvrst started out west of the core on King Street a few years ago and was immediately popular. The focus is its high quality sausage kitchen and gourmet french fries. Ad-ons in later years – salad was a good one – broadened the appeal and the York Concourse branch offers even more choices. From Day 1 Wvrst was a beer haven too, focusing on the local craft scene and quality imports. The decor of both locations is a stylized blend of Bier Hallen, English pub, and industrial chic. Stylish touches in the new location include a winking display panel listing the draft beers which mimics a rail timetables board. The beer list consists of rotating drafts, at least a dozen, and well-chosen bottled and canned offerings. There are some great choices from Belgium in particular, with many lambic-based rarities. 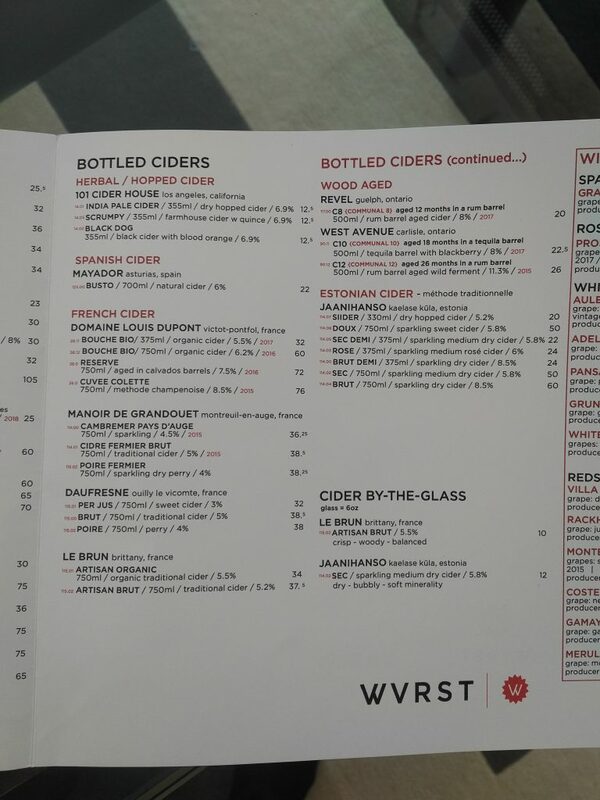 Ciders are a sub-specialty of Wvrst with French, Spanish, and Estonian (!) selections while not ignoring Ontario – or Los Angeles, CA (who knew from L.A. cider?). The U.K., of Olympian importance in cider, seems oddly missing, but they will get to it in time I’m sure. 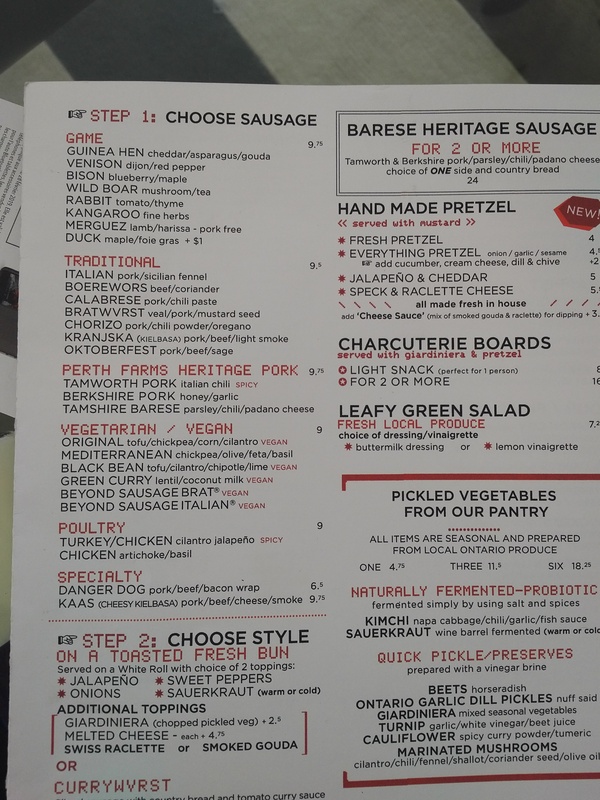 I ate at the bar, bratwurst on a bun with fries – same quality as the King Street parent, which means very high. The meat had the right touch of mace, so un-North American or English really unless you reach for heritage recipes. The sausages, of which there must be a dozen types again, include good vegan options. A commuter next to me grabbed a quick Major Small Best Bitter, from Muddy York in Toronto, and left within 10 minutes. Most people were eating as it was lunch-hour. Not a few ordered one of the exotic bottled beers or ciders to accompany. 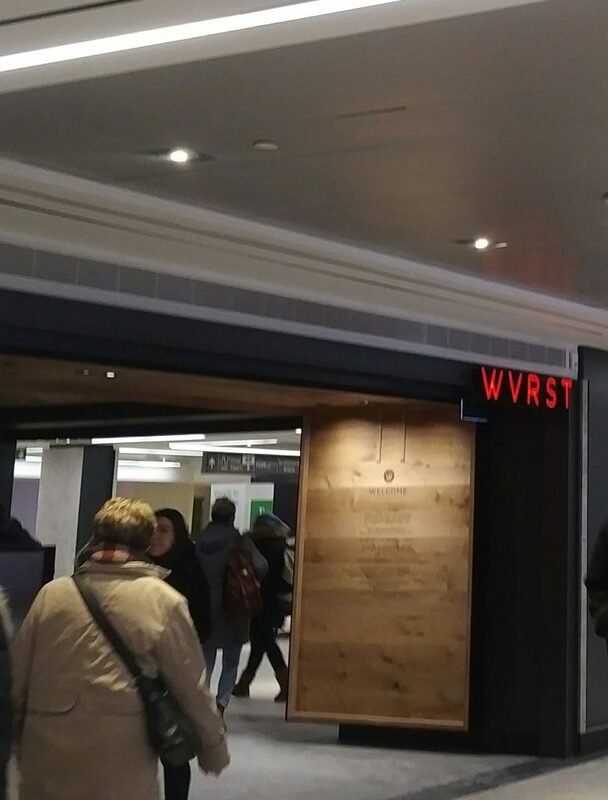 Wvrst at Union Station was preceded by the Mill St Pub, the craft brewery now owned by AB InBev. It’s in a relatively remote part of the station, adjacent to the train which links to Pearson Airport. With Wvrst, and Union Chicken’s local (bottled) beers, the beer stakes for the rail traveller or interloper are raised at a stroke. The draft beer choice at Wvrst is careful calibrated. Three imports are currently offered, Weihenstephaner (wheat), Pilsner Urquell (lager), and Paulaner (lager). Each represents high quality, especially the first two. A more sedate choice would be, say, Heineken, Erdinger, and Stella Artois. The Ontario drafts currently include a half dozen of the wildly popular sour category – a sour stout, anyone? – with good representation of cornerstone styles. Wvrst was never pro forma about beer, which may sound a contradiction in terms but beer bars can “let go” after a while; it never has. There must have been good competition for its spot, but the re-development managers chose well. 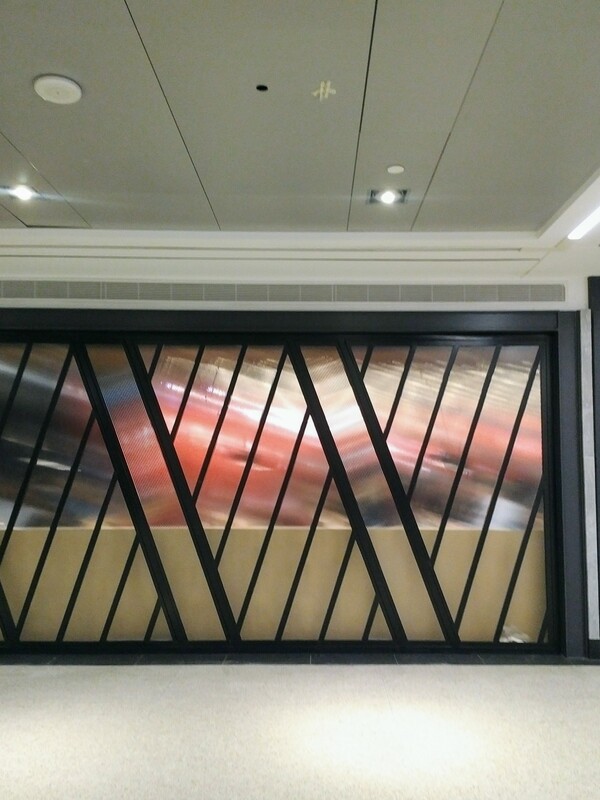 With the pioneering beerbistro at King and Yonge Streets, there are now in the core: Walrus Pub and Beer Hall, the sizeable Taps in First Canadian Place, the huge Craft Beer Market, and the more intimate Boxcar Social, on Temperance Street (yes that’s the name). Goose Island’s brewpub (AB-InBev) and Batch (Molson-Coors), albeit a touch outside the core, count as well. So does the Biermarkt (a small chain) next to Goose Island. Let’s add the Loose Moose, a 10 minutes walk west of the station. All offer an inviting beer variety, or together they certainly do. There is yet more if we add the older English or Irish pubs in the core as well as Reds and other general restaurants, a Three Brewers, and the new food halls strewn through the canyons. The core can now add brewing riches to the monetary kind tended by the wizards in the towers. In this area downtown, beer has come a long way in the last 5-10 years. In a word, it has arrived. One of the early flagships for craft beer downtown, the boho-flavoured C’est What, still thrives next to St. Lawrence Market to the east. In business a generation now, C’est What can gaze proudly on the beer ferment in the core today, as it was an indirect influence. Today good beer is not just hipster, not just suburbia, not just college/intellectual. Craft beer is for everyone. No one owns it, no one can define it. It’s taken 40 years of trying, and nothing will reverse it, neither takeovers, nor slowdowns in the boom, nor blandishments like alco-pops, cider, and wine. I doubt legal cannabis will have much effect either. This should not be a surprise really as craft beer is simply, or it aspires to be, fine beer. And great beer is an age-old heritage. It belongs to everyone with the imagination to taste with discernment and curiosity. A not inconsiderable bonus: the wider the audience for it, the greater the market for our craft brewers. *A member of the Toronto beer community subsequently told me there was a bar before Wvrst in the same space, to his recollection curtained and quite basic. Wvrst has an open scheme and looks pleasant and inviting, not to mention its diverse and creative wares as described above. With Union Chicken added to the picture, the situation regarding licensed premises seems clearly improved, certainly in the north-central part of the station.